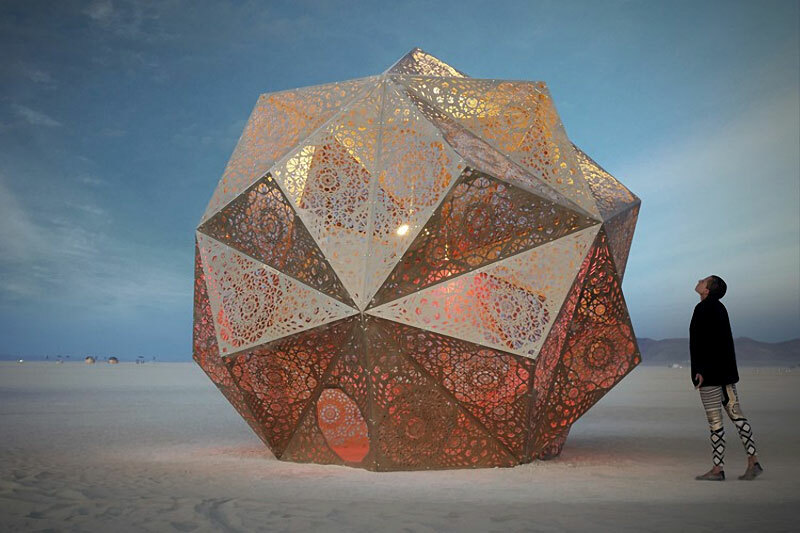 A series of ornate, geometric sculptures by artists Yelena Filipchuk and Serge Beaulieu inspired by the intersection of science, technology, maker culture, and their favorite book Hitchhiker’s Guide to the Galaxy. 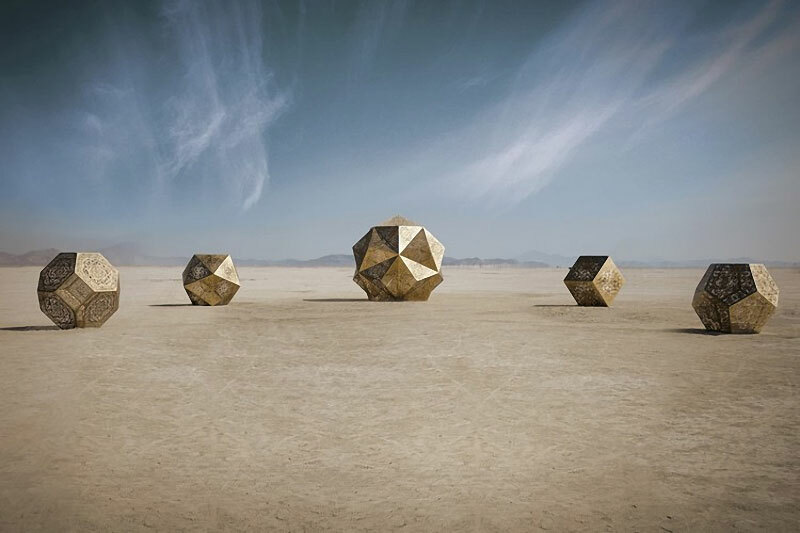 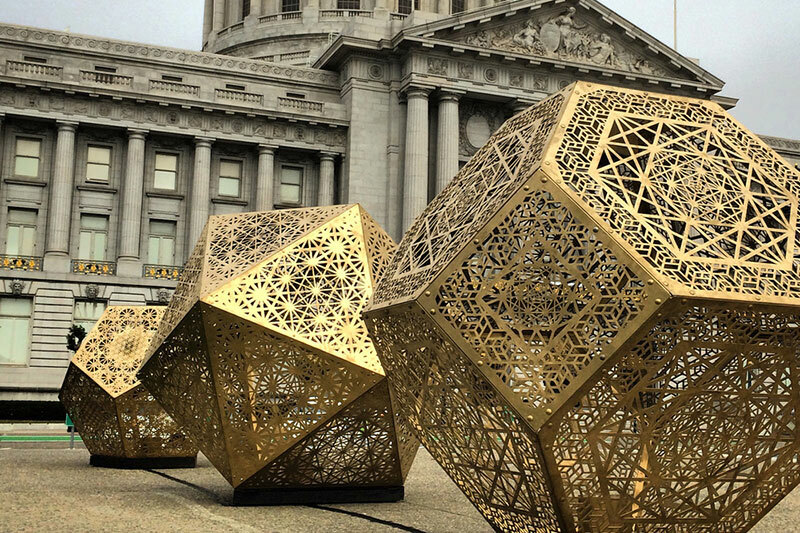 They created HYBYCOZO to take their passion for design, technology, geometry, and installation art to the next level through thought provoking objects. 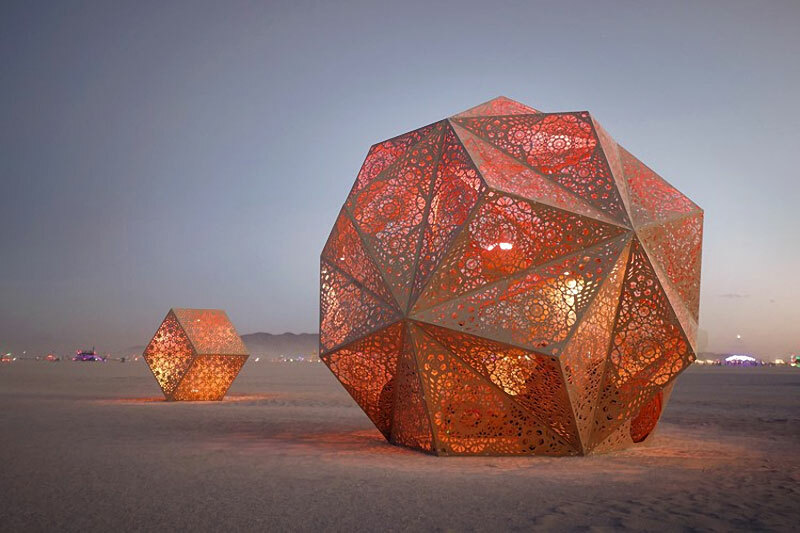 Each sculpture is made of steel, stands from 6–14 ft. tall, and weighs over 600 lbs. 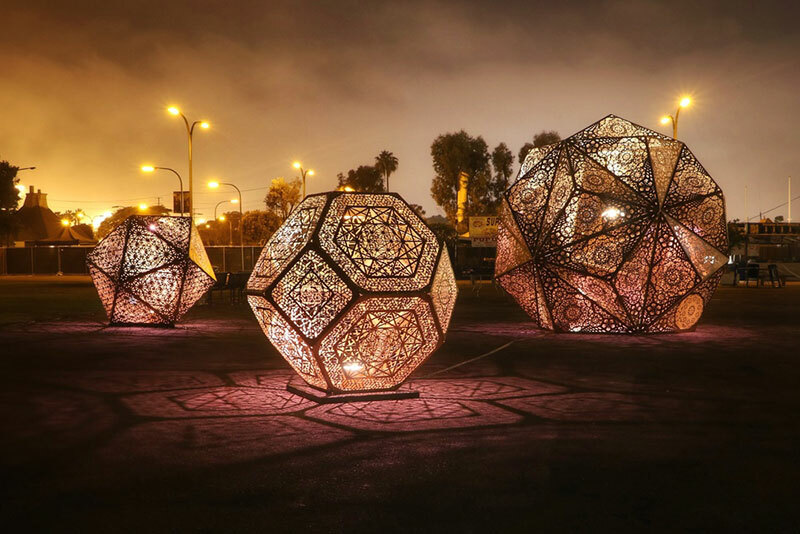 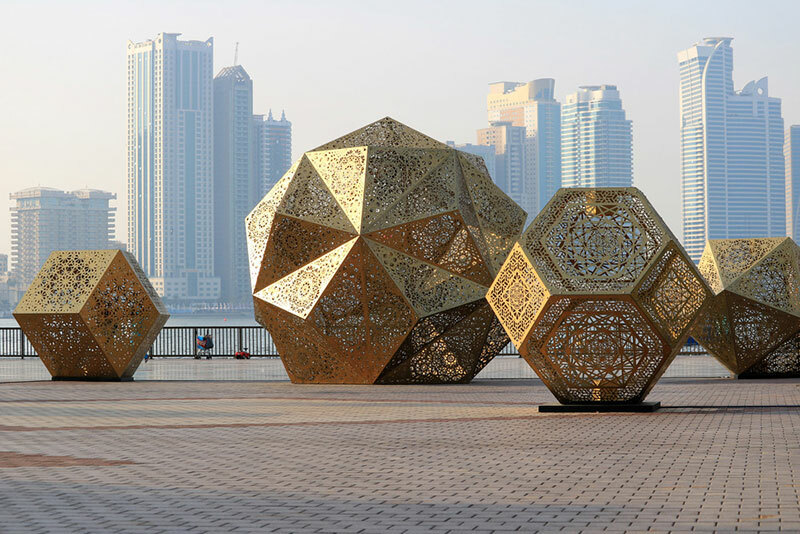 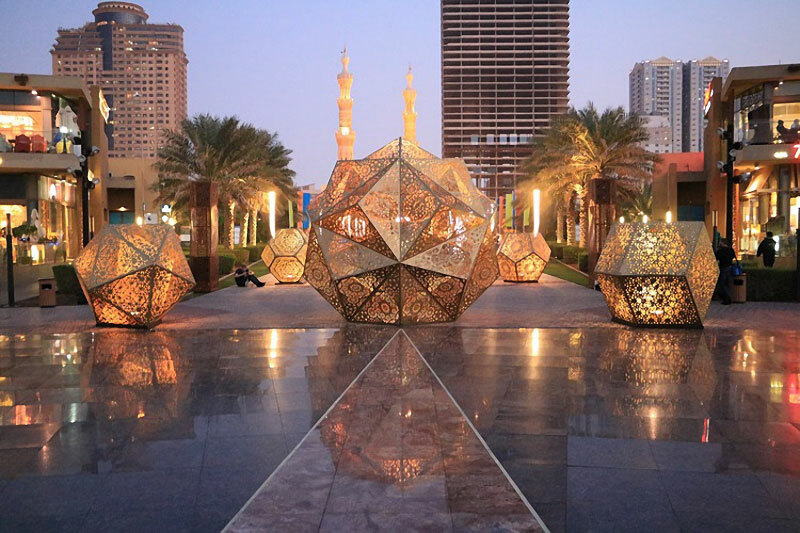 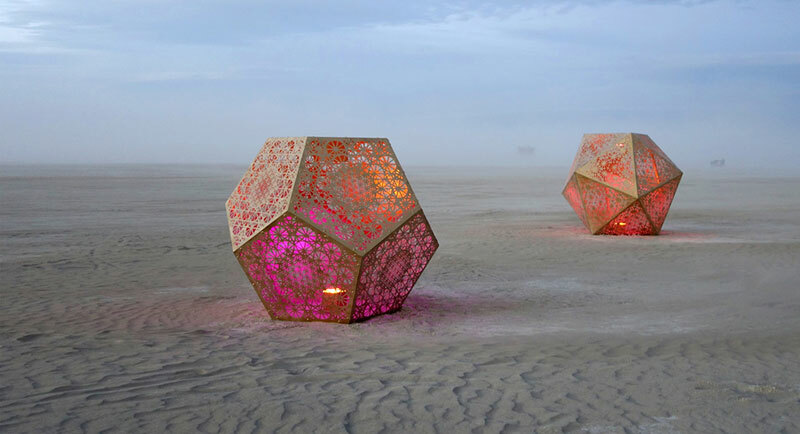 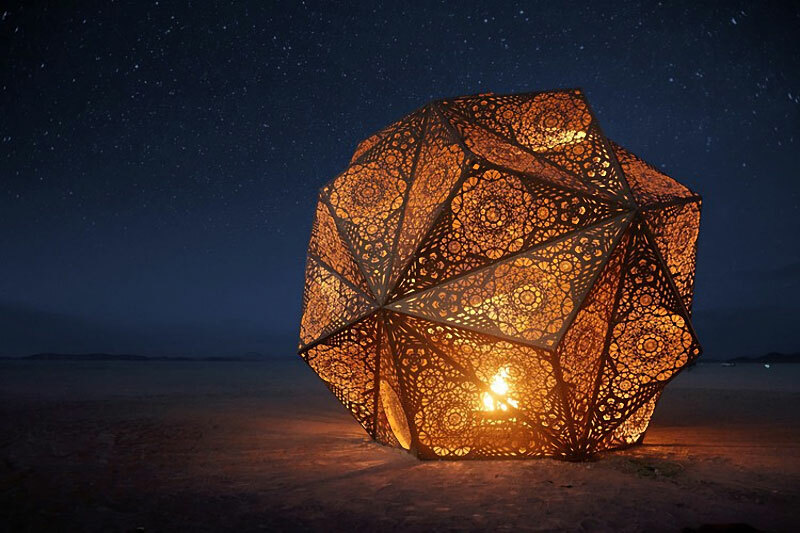 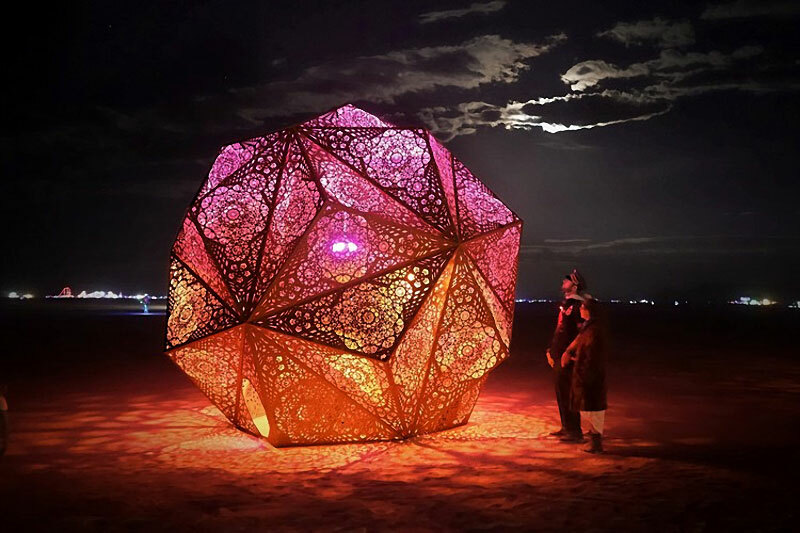 When lit from the inside by LED lights or fire at night, the sculptures cast geometric patterns inspired by ancient Islamic tiles as well as patterns created by particle physicists when modeling the unified field theory. 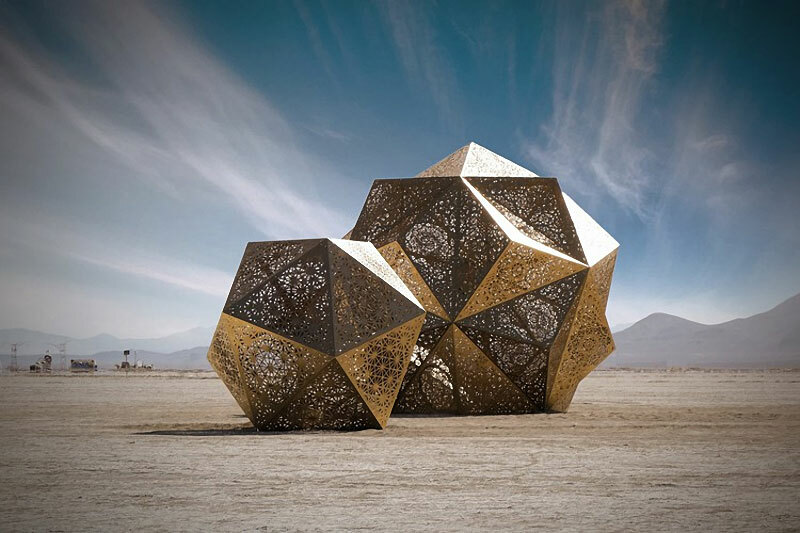 A series of ornate, geometric sculptures by artists Yelena Filipchuk and Serge Beaulieu inspired by the intersection of science, technology, maker culture, and their favorite book Hitchhiker’s Guide to the Galaxy.